When to File an Underinsured Motorist Settlement Claim? SEND US AN EMAIL HERE OR CALL 312-372-7250 TODAY! THERE’S NEVER A CHARGE UNTIL WE WIN! Contact an underinsured motorist accident lawyer at Kurasch & Klein as soon as possible after your accident. 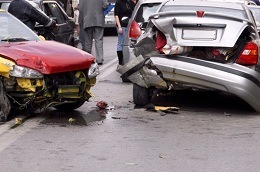 We can represent you as your underinsured driver accident attorney’s in your claim. Being in an accident is never a good situation. You might have been injured, lost time from work and have mounting medical bills that your insurance will not cover. Unfortunately, the other driver has the minimal required amount of insurance in Illinois, but you are owed more damages than their policy covers. When you have found yourself in this difficult situation, filing an underinsured or uninsured motorist settlement claim is a logical next step. You were the responsible party that kept the right amount of insurance on your vehicle to cover expenses like this. Your injuries were because of someone else’s negligence—why should you have to pay? Contact an underinsured driver accident attorney at Kurasch & Klein so we can fight back with you.